Ivan Torres said: " Well, I finished this one a couple of days ago. I wanted to write a full detailed review since this is the first book I have gotten into in years. But, my dissapointment with this concept is beyond me. Mrs. Collins is a great storyteller, yet, I am Well, I finished this one a couple of days ago. I wanted to write a full detailed review since this is the first book I have gotten into in years. But, my dissapointment with this concept is beyond me. Mrs. Collins is a great storyteller, yet, I am not sure that she is at the level everyone is putting her as a N.Y.Best-selling author. The story feels like a cook book too often and the ideal of a ruthless powerful Capitol fades from sight just as much. The main character never develops, she remains the same person from beginning to end. Where is the growth? Where is the parallel that many claim this story has with our world? 74 years of enduring this atrocity just after losing a rebellion (with no other hints at human resilience against what they know to be wrong) is just unfathomable. How long have we been stuck in the middle east in a conflict we supposedly already won? My other issue is the Capitol itself. Did the United States get invaded by the Philipines? (I am just puzzled at where the name Panem came from?) Americans lost all memory of their history and that is the reason for everything becoming so backwards in time? Are aliens the human overlords in this story? You see, I love fantasy and fictional concepts. You give me the rules of the world you have created and I will judge your world based on them. The Hunger Games is set somewhere in the future after our nation had been destroyed by war and natural disasters (maybe 2012). This is a possible future in our timeline. Do you see the logic in concept? Humans lost a conflict and just stood there and took it without a flinch? Is that a reality in our world? How come everyone is left in misery and the Capitol thrives in technology and excess. My only solution are either Japanese(they made advances years ahead of the world after the nukes so I am giving them credit for taking over our Nation in this possible future) or aliens. Now you tell me...beyond your blinded fanatism, can you really answer these questions from within the concept The Hunger Games presents? My final rating is actually 2.5 stars for the writing efforts (I know personally how hard it is to go through writting a novel). If the concept would have given me hints or responded some of my interrogatives, I'd be more than happy to continue reading the next two books of the trilogy. But, it failed concept-wise to capture my interest and the hype is so overrated. ...more "
Ivan Torres said: " Necroscope is strange in many places but I enjoyed the ride overall. Some creepy scenes like the naked man savagely searching for clues inside a dead mans body as if it were a drawer full of papers. What turned me away was its length and ceratian unn Necroscope is strange in many places but I enjoyed the ride overall. Some creepy scenes like the naked man savagely searching for clues inside a dead mans body as if it were a drawer full of papers. What turned me away was its length and ceratian unnecesary chapters that took me too far from the main plot. They compensated me with gore and violence that made them seem fine. I guess I might give the following stories a chance just not anytime soon. ...more "
" Hello Goodreads! It has been a long time. I am back with news about my upcoming title Thorn. In the next two weeks, Thorn will be available for purcha Hello Goodreads! It has been a long time. I am back with news about my upcoming title Thorn. In the next two weeks, Thorn will be available for purchase on Amazon, Createspace and bookstores everywhere. I am very excited and hope you will enjoy the journey very much. Keep an eye out for the next few weeks for a release announcement. Thank you all! ...more "
We’d love your help. Let us know what’s wrong with this preview of Hell Hath No Fury by T.W. Brown.
" I am honored that you have found me and added me. Browsing through your body of work I am an instant fan of your work. I love your illustrations. Than I am honored that you have found me and added me. Browsing through your body of work I am an instant fan of your work. I love your illustrations. Thank you for having me as a friend! ...more "
Let your mind go free and write at your hearts content. Let's let the river of creativity flow. Either you write it, Read it, But you must LOVE IT! DISCUSS! This is an extension group off of Creative Reviews, where we can get together, read together, and actually talk about books!! One book at a time! Hello Goodreads! It has been a long time. I am back with news about my upcoming title Thorn. 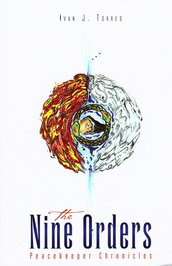 In the next two weeks, Thorn will be available for purchase on Amazon, Createspace and bookstores everywhere. I am very excited and hope you will enjoy the journey very much. Keep an eye out for the next few weeks for a release announcement. Thank you all! Check out my book teaser video for the upcoming title Thorn! Don't waste your time trying to live someone else's life; unless you are a writer or an actor. I want to thank Regina for a wonderful cover design. Thorn feels to have come alive before my eyes and I am very excited. Regina you are amazing! Thank you! The Devil is loose on Earth and the victims could be anyone. Is man strong enough to stop this evil without the assistance of God? Dark Vengeance: The Devil's Playground now on Amazon Kindle. Dark Vengeance: The Devil's Playground is now available on Amazon Kindle for .99 cents for a limited time. Will you come out to play? My newest story Dark Vengeance: The Devil's Playground is available now through Amazon Kindle. Get it today! "What do you know about the Devil? That he was an angel fallen from God's grace? That he is the ultimate incarnation of evil? That he goes by many names and shapes? What if I told you that the Devil was born simultaneously with God, that they are both the two sides of the same coin; would you believe me? Well, then let me walk out of the shadows that cloak my face and introduce myself. I am the Devil! Do you believe now?" -excerpt from The Devil's Playground. Coming soon on Amazon Kindle. Has God forsaken us? The Devil's Playground coming soon! The Devil's Playground will be coming out soon on Amazon kindle and right after on Barnes and Noble Nook. Be on the look out for more on this thrilling new version of the Devil; He will have you wether you want him to or not. Working hard on my next novel titled Thorn: The Immortal. I am currently past 20,000 words; not bad for a title I started 2 weeks ago, huh? I am also looking for an editor for The Devil's Playground to begin the publishing process. This one is a very short story with only 12,000 words but really good. 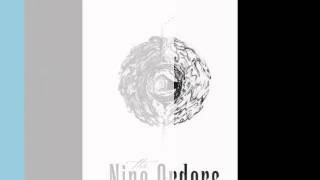 I'll keep posting as more events come up and don't forget to tell your friends about The Nine Orders, currently available through all online retailers. Thanks!!! Thanks for the friend invite, Ivan! I agree, we authors need to stick together, it's a tough world out there, lol. All my best! Hope wrote: "Loved your little message on the Friend's invitation :D"
I do try to go through the bio information to get a feel for how much affinity I could have with the people I am friending. I always try to make it unique and personal as a token of respect to the people I am contacting out of the blue in an honest attempt not to scare them away. I appreciate that you liked it and made the effort to let me know. Thanks! !